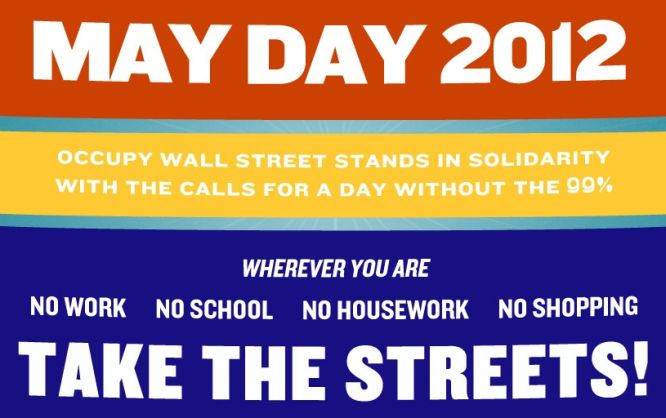 Join the rest of us and refuse to work on May Day, May 1st, unless you’re in a job — such as firefighter or cop or paramedic, et al — where you really can’t afford to take the day off due to the harm it might cause. See you on Wednesday, May 2nd. 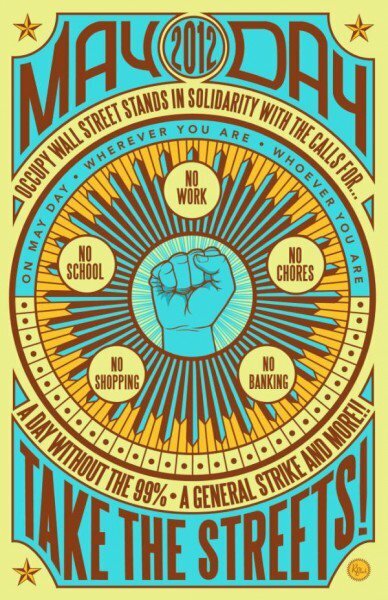 This entry was posted in 2012 Election, 99 Percent, Economy, New Ideas, OWS Movement, Uncategorized and tagged May Day Strike. Bookmark the permalink.